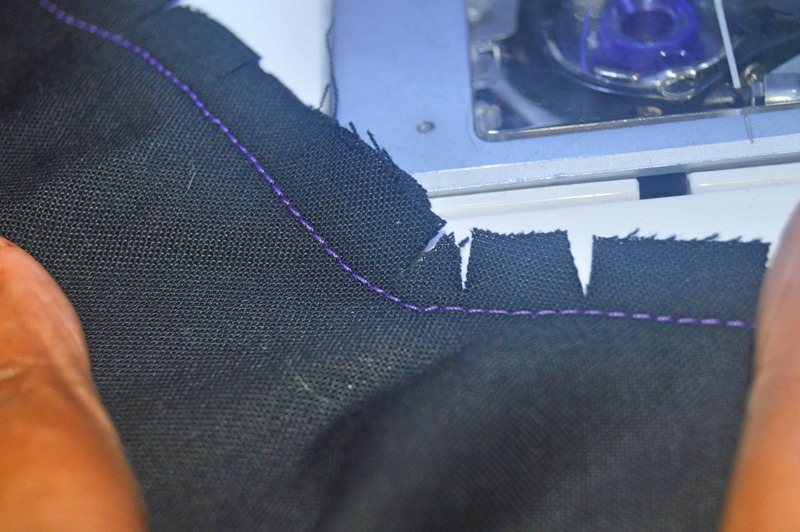 Home / Uncategorized / Guestpost: Skipping your understitching? Stop it! 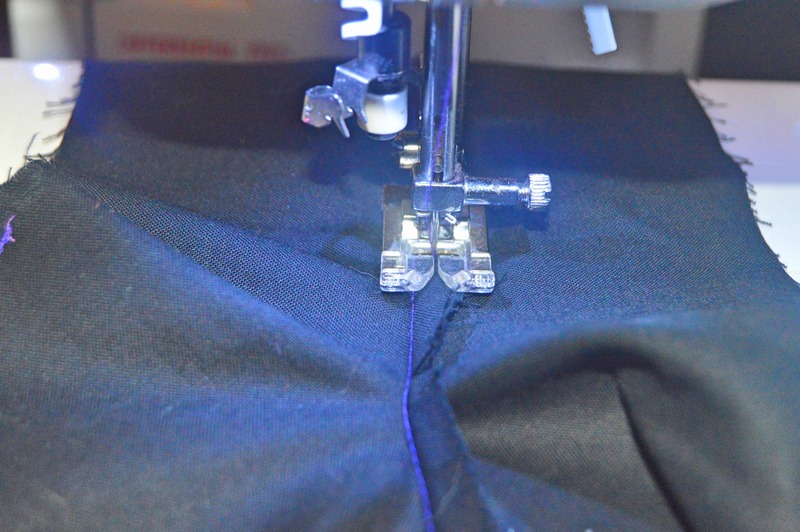 Guestpost: Skipping your understitching? Stop it! Today Essence from Amazing Adventures With Bubba and Bug! kicks off our Guest Blogtour, where we will be showing you a few techniques that you need for our patters. Or how you can add a nice detail. These coming months there will be a guest blogger showing you a new technique (2 x a month) and we will be adding a nice giveaway to! So make sure you follow along. You will find the schedule and and giveaway at the bottom of the post. Hello everyone! It is me, Essence from Amazing Adventures With Bubba and Bug! Today, I get to do a guest post here at the Sofilantjes blog on my newest sewing discovery! 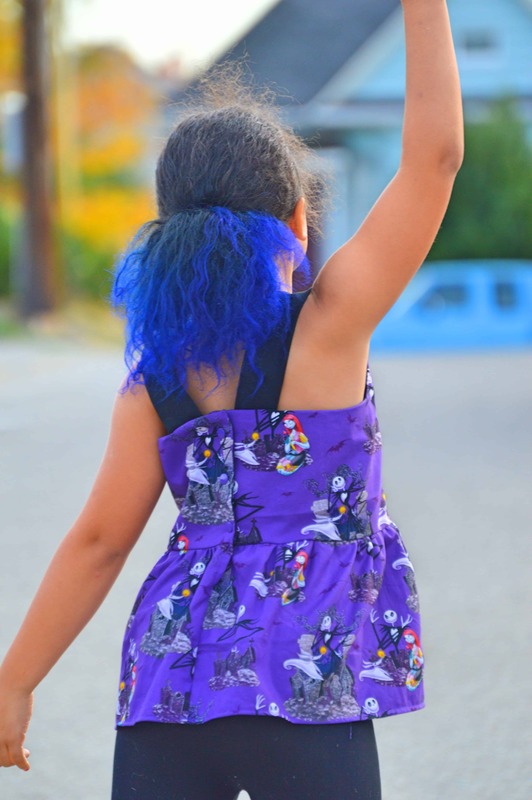 I have been sewing for about 2 years and I mostly sew for my daughter, who you will see today and my son, who grows so rapidly I don’t even know why I bother. But enough about me, let’s get down to business! So you have been naughty right? Even though every pattern tells you to read the instructions first, you never do. Although the steps have been tested and sometimes retested, you don’t read them and sometimes you just use the pictures. Don’t feel ashamed, I am just as guilty as all of you! But I am here to tell you about a step that you probably miss or don’t understand how important it is. Understitching. 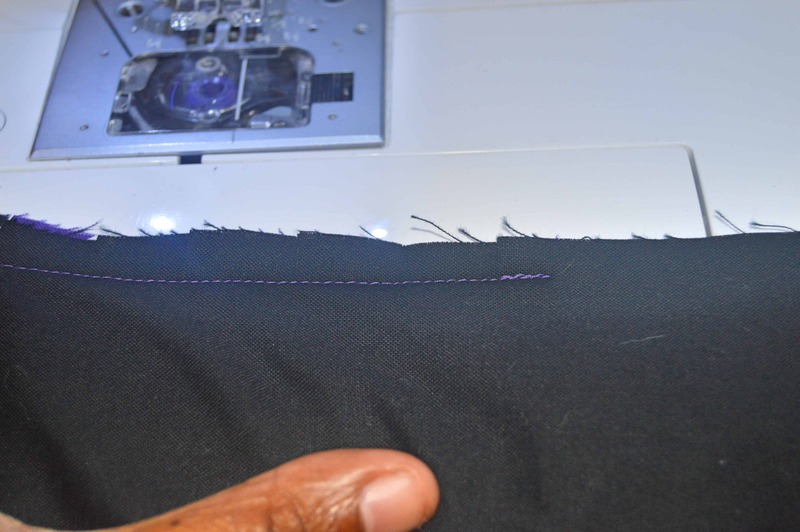 You probably think, “I will just topstitch, same thing.” Right? No! 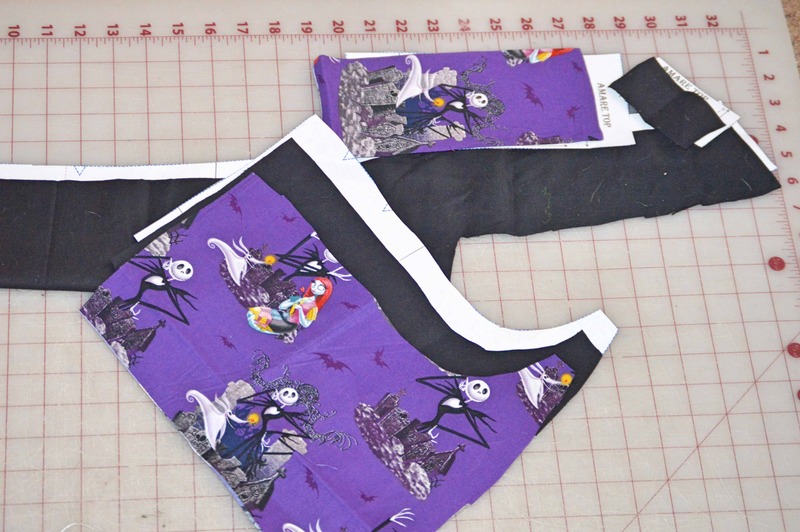 And I am going to show you some understitching magic and my Halloween version of the Amare top. 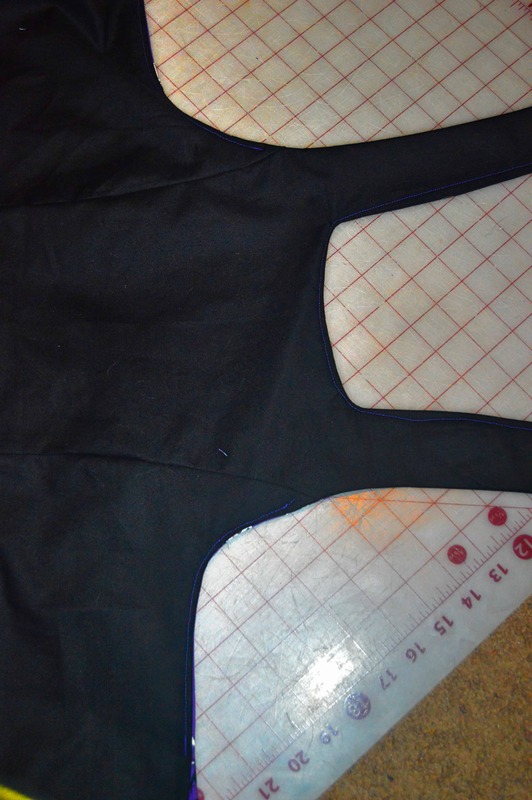 Then realize that you forgot to cut out the skirt pieces, which are measurements, and go back to cut them out. For this pattern I am going to use the black as my lining fabric and the center panel. I will also try to use my pretty purple threads so they are easier to see. What you are going to do is sew the seam allowance to the lining. 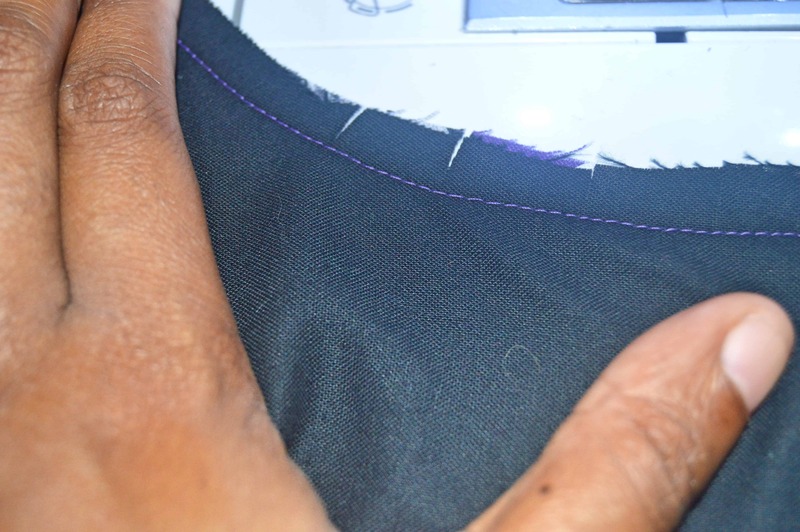 This is easily accomplished by pulling the lining and the outer bodice fabric apart and then carefully sewing along the seam. 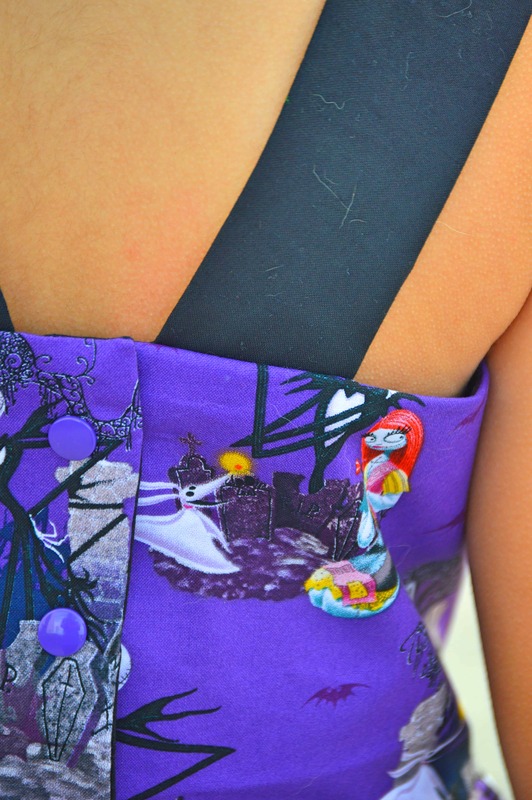 When finished there should be two lines of stitching that are visible from the inside of the bodice. Great! Now continue following the directions until step 24. Here it says the understitching is optional. So here is my big secret: I hate ironing! I hate it with an intense passion so not only do I want to spend a ton of time ironing while I sew, I also don’t want to iron clothes before my daughter puts them on. Understitching is the answer. 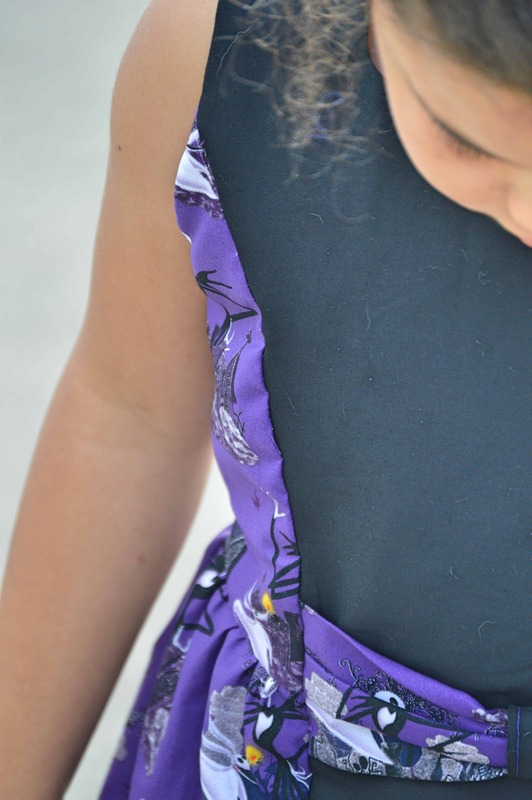 If you take a little time and clip those curves and understitch the armhole/back, your bodice will lay so flat it will look like you are an ironing guru! Don’t forget to stop clipping and understitching at the marking on the pattern piece! So here is the best picture I could grab of the understitching as it is visible from the inside of the bodice once you turn it right side out. Then return to your regularly scheduled program! Follow the rest of the steps, grab some snaps (my preference) or fancy buttons and finish your Amare! And marvel at your beautifully flat bodice. Now for another secret: I did not iron this top at all following my understitching. Can you tell? And oh how beautiful are the details of this pattern? See?!? The understitching is worth it! So if you have not tried it, grab the Amare pattern or the Brueram pattern and give it a try. I promise you will be impressed! Thank you for this tutorial Essence! Next post: Result of the giveaway…..
No, I have never understitched. I’m just starting out on garment sewing but think this post is a sign from the sewing gods that I need to learn this technique as it’s the second mention of how important under stitching is I’ve read/heard in the last few days. Thanks for the tutorial! Thank you for stopping by. And it does make such a diffence when you use understitching. I never skip that part. Thank you for taking the time to read it. I never used to either and now I love the difference it makes! I love this top! 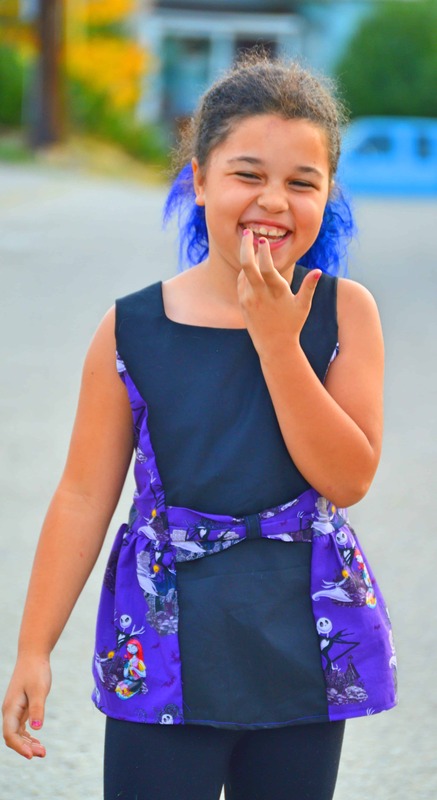 Your daughter looks so happy in it =0) I do under stitch because it makes everything sit nicely. It helps with dressing my daughter because she cannot stand it when linings or facings move. I always appreciate extra tuition on doing it though as I’m self taught and never know if I am doing things the right or the best way. I am self taught also so I love learning these little tips that make my final products look more professional. My daughter hates when things are rubbing on her too! I’ve never understitched, unless specifically directed in the instructions. I’ll be giving it a shot with my next lined project (or with facings!) – I have been doing almost exclusively simple knits lately, with simple bands. I have never heard of under stitching but I’m absolutely going to give it a try of it means no ironing. No they do not. 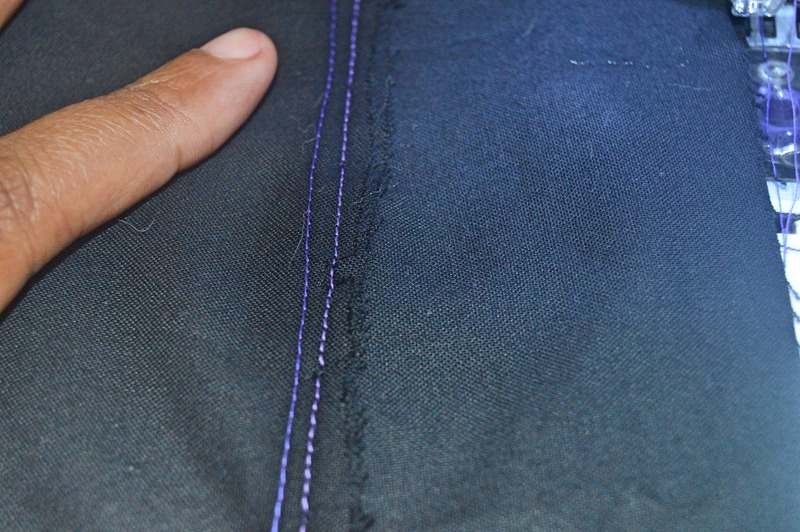 You stitches only show on your lining. You do not stitch your main fabric. Perfect! I had the same question. Yup! I under stitch pretty often. It does make a difference! I ALWAYS understitch if a pattern mentions it (and sometimes if it doesn’t). It’s those wee things that make a huge difference to the overall finish of the garment. I always understitch. Even if a pattern doesn’t call for it, I add it in if there is a lined bodice. I am an obsessive ironer, but I do not usually understitch. I have never understitched, nor have I ever heard of it. I’ll be using this next time I sew something with a lining. Does this work when sewing with knits as well? Yes! I know of a few patterns with a knit lined bodice and understitching. I understitch when it’s in the pattern, I mean to do it other times but forget. I think I’ll try to remind myself more often as it does make a difference. Yes I do understitch! I prefer it so the edges don’t roll. Under stitch all th things! !